It’s Friday folks. It’s early and you needed to pick it up. 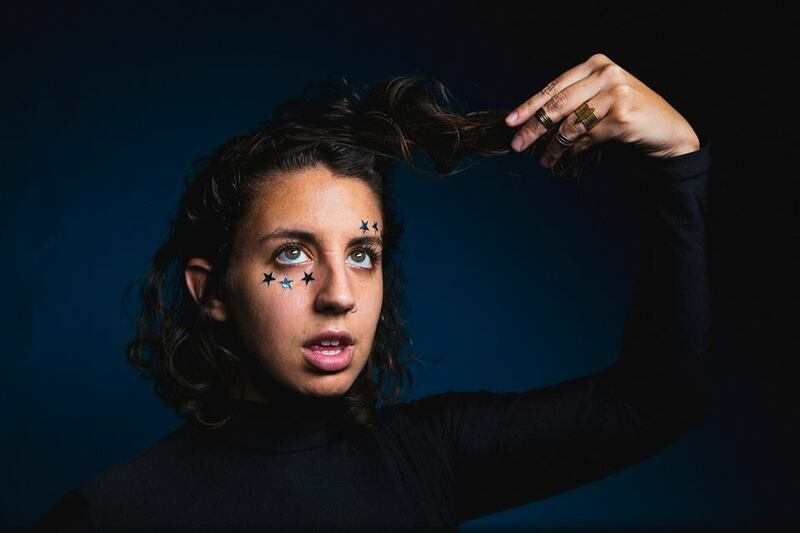 Well, I figured you could listen to this new hit from our friend Alex, who currently is working under her Pema moniker (she’s also in Austin group Alex Napping). There’s this pulse that brings the song in, with extemporaneous beeps and bloops layered in to maximize the hook factor. I love the way Alex plays with the syllables in her vocal delivery in the song’s late middle, before putting in a final stomp to groove you to the end. 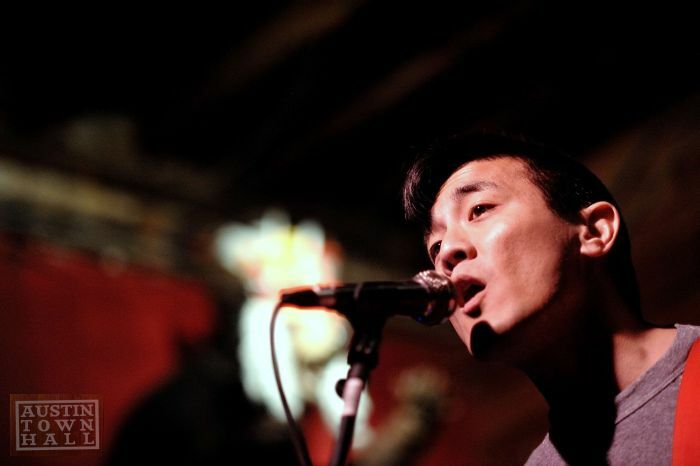 Pema will release Bad Habits on May 4th via Topshelf Records. I was going to hold this one off until tomorrow, but why wait with good tunes? 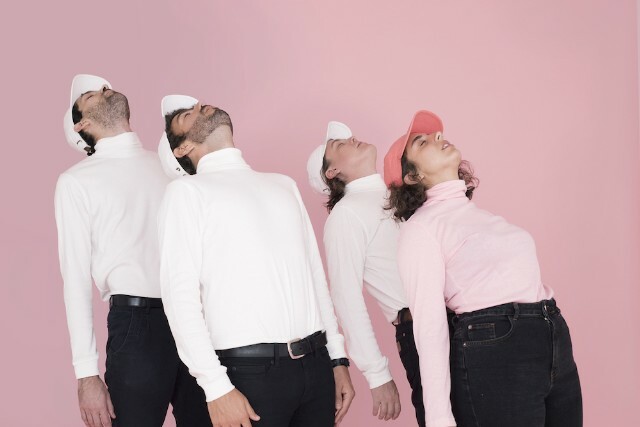 Alex Napping is one of the many great Austin acts, and their new LP Mise En Place is hinting at a great release come May 5th. Singer Alex Cohen steals the show, or at least the front of the mix, floating airy vocals atop the noisier guitars chugging behind her. The accents coming from the backing vocals are perfect too, filling in all the space that remains in the track. Balancing heavy riffs and hook-laden melodies isn’t easy, but this group seems to have a knack for walking that fine line. 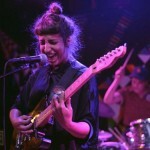 Look for their new LP via Father Daughter Records come May! 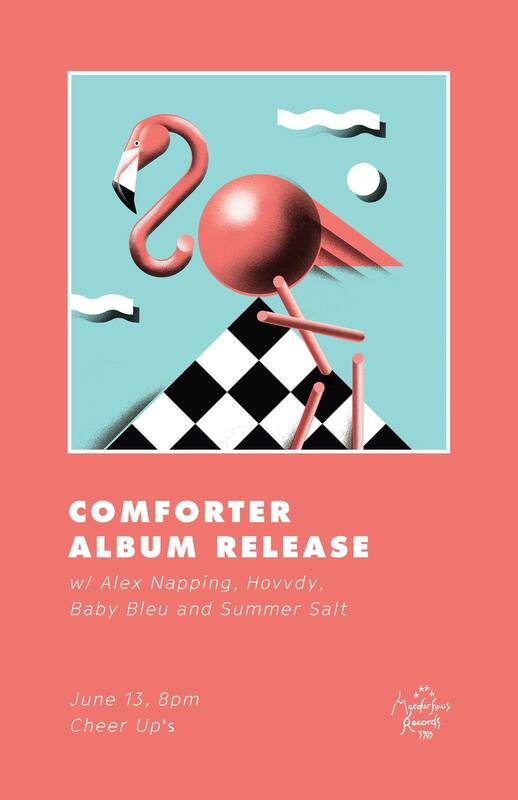 In what’s shaping up to be a really great year for Austin musicians, Alex Napping is one of those acts that’s high up on our list, at least in so far as esteem goes. 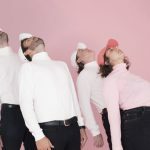 Today the band released another single from their forthcoming Mise en Place, which will be released via Father Daughter Records in May. 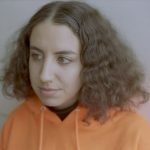 While the casual indie rock sound of this track is in line with what we know from the band, I think the quality of Alex’s voice is what’s really standing out here; it almost seems like she’s singing on the cusp of every breath she releases. I like the slight tonal twist when she offers the lines “I can dream all night.” Give it a listen, and add the group to one of Austin’s great exports. 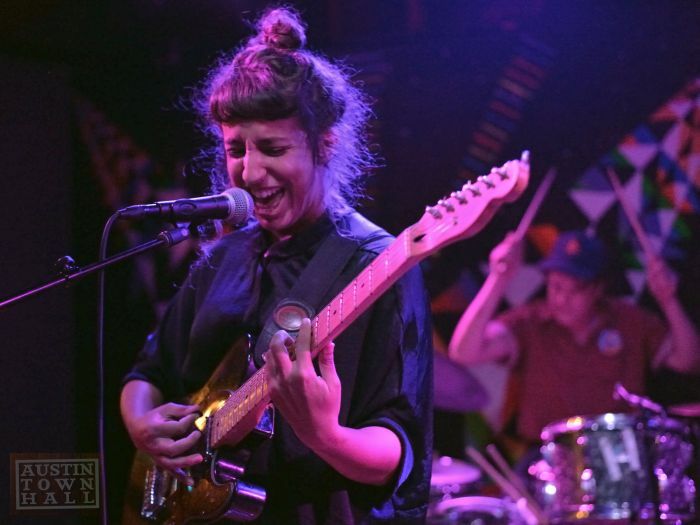 The more I hear from this new Pema release, the more I think it’s really going to surprise longtime followers of Alex Napping and their frontwoman (Alex Cohen). On this latest track, the synth/sample work is pretty minimal, with several of the beats being dragged and repeated, then looped back in for the mix. But, as one expects, the star is definitely Cohen, whose voice soars playfully throughout; she hits some notes that I didn’t expect from her, but am grateful she gets up there. Look for her debut, Doublethink, via Wishy Washy on June 3rd. 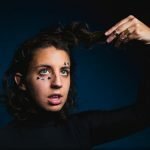 Just a few weeks ago we dropped a tune your way from Alex Cohen, who many people will know from her work with Austin’s Alex Napping. But…don’t confuse this, as PEMA is her pop-centric new project, where she’s really stretching herself to find a new place for her voice. For this number, she enlisted producer LAZ3NBY to work behind the buttons. The product is a place where you likely haven’t heard Alex go, but if that’s the case, or if this is your first introduction, your’e going to be enamored with the end product. Vocals are looped back in to provide background while Alex’s voice rises to the front of the mix; I like the restraint on the beats, allowing Cohen to shine. 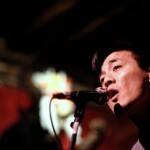 Look for her PEMA debut, Doublethink, via Wishy Washy on June 3rd. 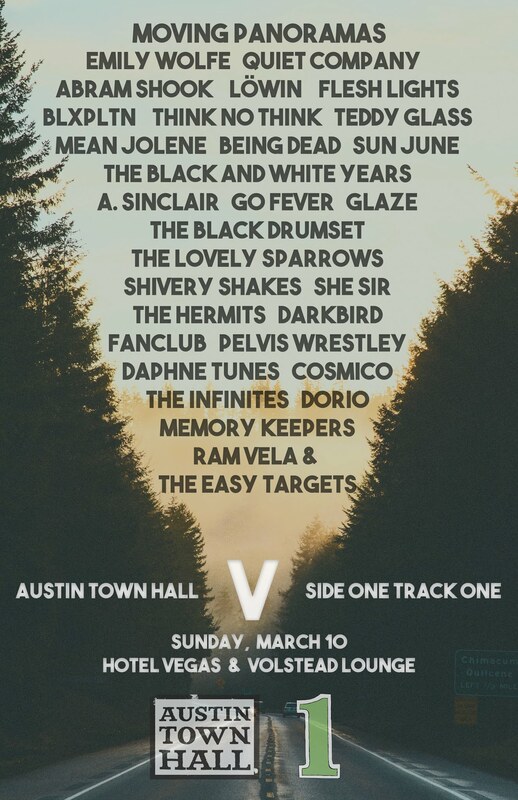 Those of you spouting off about how Austin music is dying need to just stop. Today alone I ran singles from Slomo Drags and Bloody Knives…both better than 99% of what’s come across my desk from elsewhere. Now we have this brand new track from Pema, the working title of Alex Cohen’s new pop-centric project. She’s most well-known in town for her work with Alex Napping, but the brilliance of this track should not go unnoticed. What’s most striking for me his the strength of her voice; it’s always been great, but it’s presence in the mix is really remarkable (it reminds me a lot of Amber Coffman). I love the playful work of everything behind her voice too…such a good introduction to her new project. Look for her debut, Doublethink, via Wishy Washy Records on June 3rd. Trying to be more on the ball so you folks know where to go when your afraid the music’s dead, so wanted to point you in the direction of these two great local gigs tonight. I’ll be short and brief…sort of. Carry Illinois got a lot of love from us earlier in the year, plus that show includes the esteemed Lindsey Verrill, Marijuana Sweet Tooth and Rain Collectors. It’s over at Holy Mountain; it’ll have sort of a mellow/folk/pop vibe. Be sure to go to HM before it closes. Or. You could find yourself over at Empire Control Room for 101X Homegrown. Say what you will about the radio station, Diedre’s got her finger on the local pulse. Just look at all these rad bands: Sphynx, Letting Up Despite Great Faults, Shivery Shakes, Alex Napping, Gold Beach, Slomo Drags, Young Tongue, Tamarron, Velo. 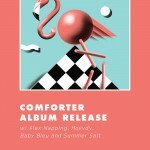 Tons of great music is coming out of Austin lately, and Comforter have kept my attention with their first few singles. Their latest, “Hardies,” opens up slowly, twinkling guitar chiming in the foreground. As the drums kick in the song takes off, soon joined by resounding backing vocals to emphasize the lyrical content. The drum work also adds a nice little pace to the track, while the emotional warmth steadily climbs in the listeners ear. They’ll be releasing their new album for Merdurhaus Records this Saturday at Cheer Up Charlies with Alex Napping and Summer Salt. Definitely something that should be on your radar going into the weekend. There’s really too many shows to narrow it down to two or three best bets. We’ve got friends band playing left and right, so all we can do is encourage you to attend some sort of musical event…even if its just for a bit. Without further adieu, here’s a list of rad shows you could hit up. Click through for a few more thoughts and plenty of pics.